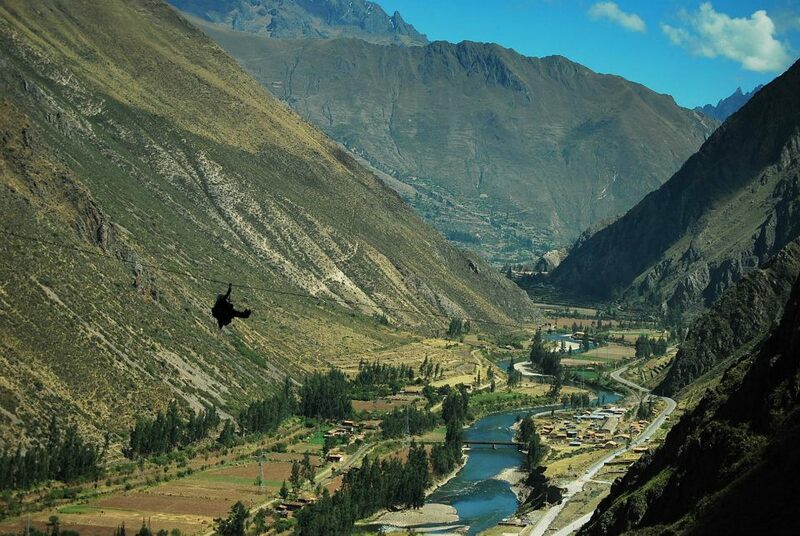 Your trip to the Sacred Valley has been quite a history lesson. You’ve visited colonial cities and traditional villages, Incan citadels and hidden archaeological sites. Each one has been fascinating and breathtaking, as expected. But now it’s time to modernize this trip. Hopefully you’re not afraid of heights. From Cusco, head north toward Urubamba. The highlands of Peru are filled with snow-capped mountains, deep valleys, crystal-clear rivers, and more Incan ruins. When you reach the small town, you find a fruit and vegetable market, ceramics workshops, and whitewater-rafting tours. It’s also home to very unique accommodations. If you look up, you’ll see the Skylodge Adventure Suites clinging to the side of a rocky cliff. Can’t see them? It’s not a traditional lodge for which you’re looking. 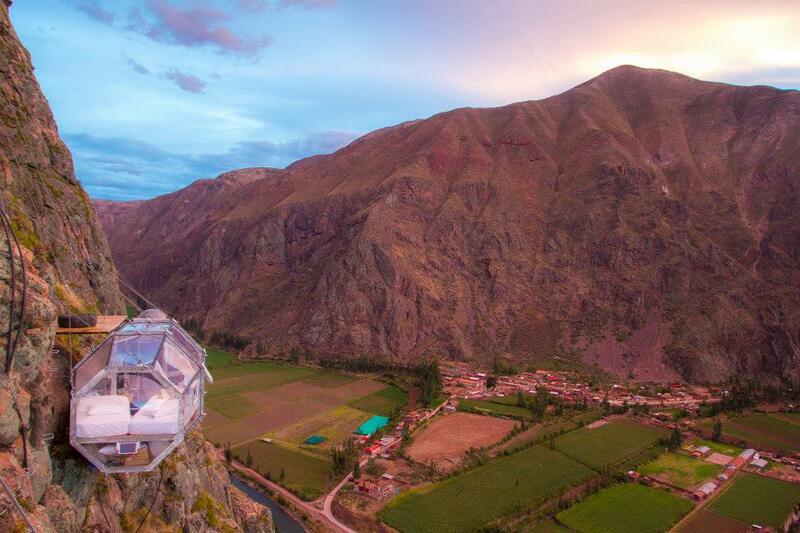 Instead, three clear capsules are suspended more than 1,000 feet above the valley’s floor. Your jaw drops when you realize where you’ll be sleeping tonight. There’s only one way to reach your precariously perched bed. You have to climb Via Ferrata, the nearly vertical rock wall in front of you. The two-hour hike up the Iron Way, as Italians call it, crosses hanging bridges and iron bars embedded in the rock face. Between the wind and your nerves, it’s a very slow climb. Your heart rate slowly starts to return to normal once you reach the suites though. There are three capsules firmly secured to the mountain. One is set up for the kitchen and the staff’s beds; you definitely won’t be up here alone. The other two are cozy rooms complete with thick quilts, down pillows, and solar-powered lamps. The pods, including the ceilings, are transparent, though privacy curtains ensure that no one can see through the plexiglass when you need privacy. While even the bathroom, short of only a shower, has an amazing view through the valley. You spend much of your time up here staring at that view from both inside your capsule and on the balcony atop it. That’s right, once you work up the nerve, there’s an open-air platform on top of your room on the side of the cliff. You take dozens, if not hundreds, of photos as the rocks change colors with the setting sun. You eat a three-course dinner with a hearty red wine as the moon makes its appearance. You count stars instead of sheep as you try not to fall asleep in your capsule. While you’re happy that tomorrow’s trip down the mountain, via a zip line, will be much easier than the trek up today. Going modern has its perks.